There's no doubt that I have a sweet tooth. I love chocolate whether it's milk or dark I can't resist. With that said I always keep an eye out for healthier sweet treats. I'm a fan of Chia seeds and already include a tablespoon here and there in smoothies. So naturally when I saw Chia Seed Pudding I figured why not. It's now a current staple in my fridge! In a small bowl combine milk, chia seeds, salt and cocoa powder. Mix well cover and refrigerate. After 30 minutes stir mixture and allow to set for an additional 30 minutes. When you ready to serve stir in maple syrup or honey and top with your favorite fruit and nuts. I love bananas and walnuts. While both are tasty I prefer vanilla made with almond milk and chocolate with coconut milk. 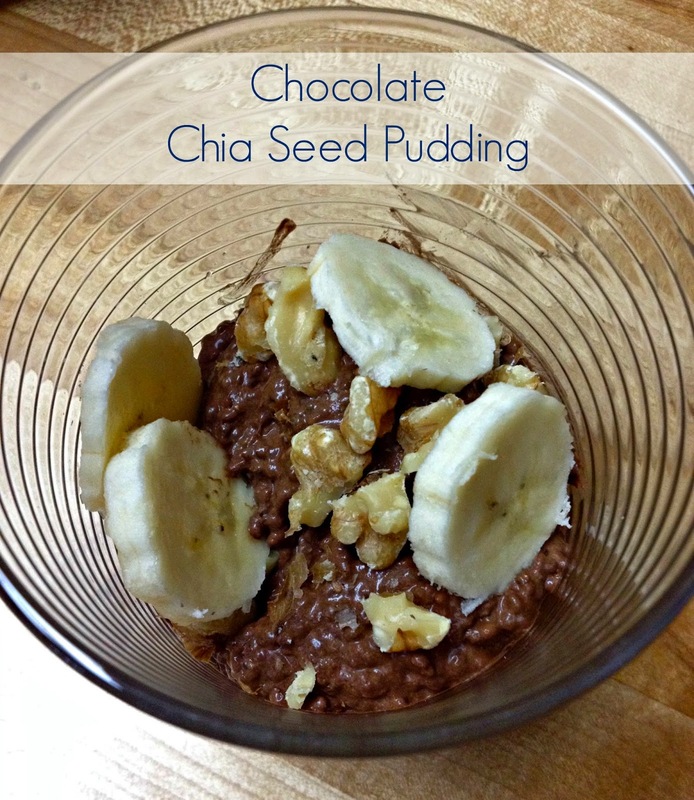 Check out other Chia Seed Pudding recipes here, here or here. This looks amazing!! Totally my jam! !